We are a pre-owned car dealership located in beautiful Wadsworth, Ohio. and a sales staff that is eager to help you find your dream vehicle. Find the car you have been looking for! can be sure to find it at Axelrod Auto Outlet! vehicle that meets their needs! You are our #1 priority! Located on Broad Street in Wadsworth, Ohio. 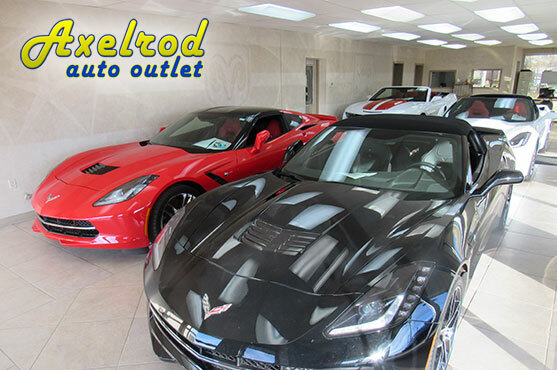 Just a short drive from Akron, Canton, and Cleveland, Axelrod Auto Outlet has a variety of premium cars, trucks, and SUVs serviced and ready for sale. We have been in business at the same location since 1983 and invite you to stop by and see the difference the minute you step onto out lot. Our professional sales staff will help you throughout the entire purchasing process, eliminating worries and ensuring a comfortable transaction. Visit us and see why customers call us their friends! Call Axelrod Auto Outlet at (330) 336-8855! Definetly one of the easiest, hassle-free car buying experiences I've had. After finding the vehicle on Cars.com I gave Axelrod Auto Outlet a call and explained what it was I was looking for and what I wanted for my trade. Spoke with Robert who could not have been farther from the typical high pressure salesman I've worked with in the past. This was a welcome change and made for a smooth buying experience. I have always had the worst time at dealerships but at Axelrod I truly enjoyed working with the employees there. The whole process was very simple and quick. I called on the car and they had it ready for me to test drive. Three days later I came back to buy and all the paperwork was ready along with the car. So far we love the vehicle and I would definitely buy from them again. My wife and I have purchased a car and an SUV from Axerod and were very happy with each experience. Robert was very help full and took the time to answer all of our questions and make sure we found the rite vehicle for us. I also recommended Axerod to my parents who recently purchased a car from them.